"In 2017, draft legislation amending the Law on Associations and Foundations was proposed in Romania which, among other things, would amend the conditions for obtaining the status of public utility (prohibition for associations that engage in any kind of political activity) and would introduce additional reporting obligations for all NGOs under threat of dissolution. The Expert Council of the Conference of INGOs of the Council of Europe issued an opinion expressing severe criticism of this draft legislation, recalling in particular the distinction between political activities in the broad sense and party politics, the risk of discriminatory application of the law and the need under international standards for reporting requirements not to be excessively burdensome. The Committee on Legal Affairs and Human Rights of the Parliamentary Assembly requested the Venice Commission’s opinion on this draft law, which was adopted by the Venice Commission in March 2018." 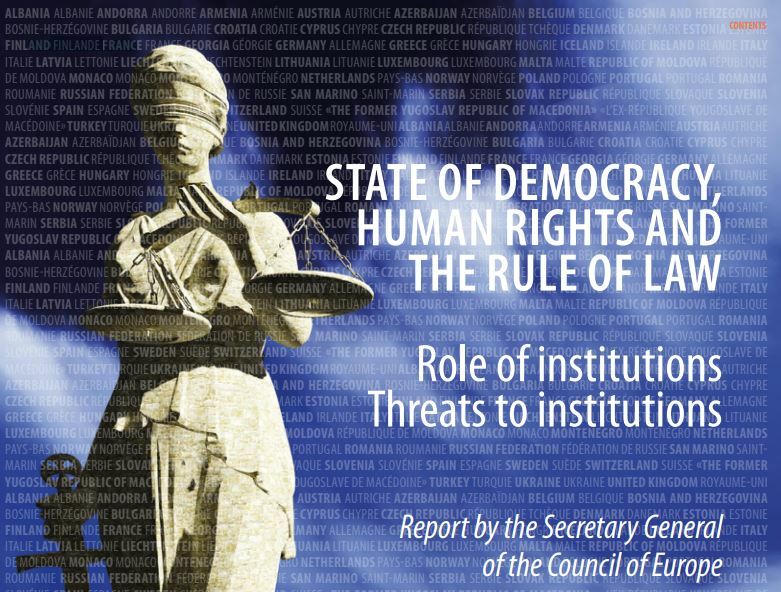 The report also includes references to Romania in what concerns the legislative reforms of the judiciary. The full report is available here.